Category Archives: what’s wrong with this world! This review was written by Paul G. King, PhD in response to an article that represents the typical lies and misleading tone of everything published by the mainstream media today. I highly suggest that you take the time to read this and that you urge your friends and loved ones to read this also. WE ARE BEING LIED TO. This review is fantastic and has tons of good sources (see the actual pdf for link to all sources). The writer’s title is an interesting choice of words because the thickness of the “Line Between Raising Concerns And Denialism” and its placement are obviously based on subjective assessments — not objective evaluations. To this researcher, the answer depends upon the nature of the question being asked and is limited to those questions that science can answer. For the subjects that this writer discusses, this reviewer finds that there are studies that lack rigor with regard to several aspects of the dispute between those who seek to maintain and enlarge the status quo in a given controversial issue for their direct and indirect benefit and those who seek to ensure that the safety (not the often-substituted “lack of proof of harm”) of any disputed practice has been rigorously proven. Quick to support her was Treehugger writer Chris Tackett. ‘The point here is that scientific proof matters in science, but it shouldn’t necessarily be what determines our actions,’ he wrote. ‘We can intuit that some things are unwise or dangerous or against our values without needing reams of scientific data to back up our concerns.’ While Kara’s piece talked only about the use of glyphosate (the pesticide known by its brand name RoundUp), Chris used it to attack both the pesticide’s use and Monsanto GM crops. While this reviewer would agree that the writer is entitled to “think” what she chooses, it is not clear that she understands “where they are coming from” or, for that matter, who is “reading those words”. Here, the writer begins by confusing the noticing of “a potential danger and …” that is implicitly associated with “the use of glyphosate” or “pesticide use and Monsanto GM crops” with what the people have a right to do, “to publicize and propagandize” what they perceive as a danger even when there is purportedly “evidence against it”. Moreover, because this writer makes numerous assertions without providing any citations or footnotes to support or substantiate her views, this reviewer is compelled to discount the writer’s statements when, without any documented proof, they attempt to discredit the views expressed by others. b. Some who are raising these concerns are scientists who have examined the evidence and/or conducted fundamental studies that have shown serious adverse long-term-ex-posure-related outcomes when “glyphosate” and/or “pesticide use and Monsanto GM crops” have been studied. Since the writer presents no proof to support her assertion that these individuals have not appropriately examined the evidence, this reviewer must counsel the reader to ignore her caveat about hearing “what the evidence has to say”. As a scientist, this reviewer is appalled at the writer’s unqualified claim that “once scientists have weighed in, you have to be willing to listen to them”. First, unless all of the raw data and supporting information, including models and adjustment factors, used to generate the published results are freely available, no one should listen to the claims made in any study. Second, unless a truly independent review of the data and supporting documentation or a truly independent rigorous duplication of a given study for which the raw data and all supporting information are available has confirmed a given publication’s findings, the results reported in the initial study should be given no scientific weight in the decision-making process. Third, the quality of evidence rating (QER) standards1 developed for evaluating the scientific quality of evidence clearly support the skepticism that should accompany any assertion when most all of the studies are not independent2. Thus, it is not the scientists that should be listened to but rather the results of those truly independent studies of “glyphosate” or “pesticide use or Monsanto GM products” that have an appropriately defined QER rating of “1” or, if the studies are toxicological in nature, an equivalent rating. First, this reviewer finds it odd that the writer abruptly veers away from the agricultural/food issues she has been addressing (“the use of glyphosate” and “pesticide use and Monsanto GM crops”) to address an apparently unrelated issue, the putative link between “vaccines” and “autism”, a neurological disorder diagnosed not by some scientifically sound tests but rather by an admittedly somewhat subjective evaluation of the symptoms and the behaviors observed in developing children. Here, for whatever reason, the writer, Christie Wilcox, begins by laying out an “imagine if” scenario about the established link between the current recommended vaccination program in the USA and the chronic childhood disease epidemics that this ever-growing vaccination program has caused and is causing by focusing on one of these epidemics, the purportedly most-difficult-to-prove epidemic, the epi-demic of “autism”. Then, without providing any proof to support her opinion, she claims that “independent scientists investigated the concerns” and “kept getting the same answer” – essentially that whatever was causing these epidemics of chronic diseases, “it isn’t vaccines”. Nonetheless, as one of those truly independent scientists, this reviewer has been continually engaged in the study of the issues surrounding vaccine safety and vaccination effectiveness for about 14 years after having worked in a wide range of capacities in firms that produced biocides (pesticides), brand-name pharmaceuticals, generic pharmaceuticals and dietary supplements for more than two decades. The results of this reviewer’s studies have clearly established that today’s FDA-licensed and CDC-recommended vaccines have not been proven to be “safe” to the standards required by the law3 and, as such, are adulterated drugs under 21 U.S.C. § 351(a)(2)(B). Moreover, an ever-growing number of independent scientists from around the world are publishing papers that clearly show that today’s vaccines are not as safe as they are represented to be and/or today’s vaccination programs are not effective in preventing disease and/or are not cost effective, especially in the developed countries4,5. Finally, based on multiple independent vaccination-related surveys comparing the health of never-vaccinated children to the health of the fully vaccinated children have, from 19776,7, consistently found or, for the current on-going survey study8, are consistently finding that, depending upon the chronic diseases studied, the never-vaccinated children are, as a group, 2 to 5 times healthier than the comparison group of fully vaccinated children. Yet, this writer apparently remains in denial about these proven realities. Given the preceding actualities, let us return to the writer’s state-ments. Then, without providing any proof to support her opinion, she claims that “independent scientists investigated the concerns” and “kept getting the same answer” – essentially that whatever was causing these epidemics of chronic diseases, including “autism”, “it isn’t vaccines”. Yet, as far as this reviewer has been able to ascertain in his investigations into articles that claim to have found “no evidence of harm” or assert that the “benefits of vaccination outweigh their theo-retical risks”, the authors of these articles are often not “independent scientists” and/or the studies themselves are often not independent studies. In at least one instance, this reviewer has been able to prove that an epidemiological study in which the CDC not only participated but also, after refusal by two major high-stature journals, strongly recom-mended that this knowingly misleading study be published in the journal Pediatrics. 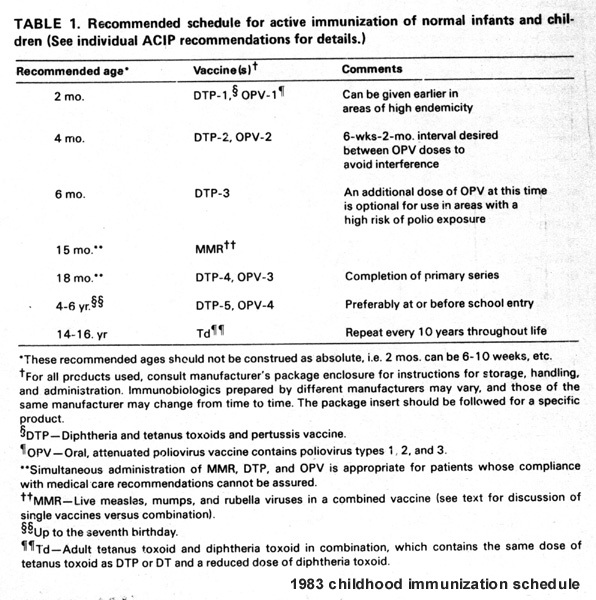 The CDC made this recommendation although the assertion made in the article10 (“The discontinuation of thimerosal-containing vaccines in Denmark in 1992 was followed by an increase in the incidence of autism”) was diametrically opposed to the truth, as expressed in internal emails (where, some, if not all, of the authors in the key Danish study cited in this discussion and CDC’s liaison person [Schendel] knew) that “the incidence and prevalence” [of autism] “are still decreasing in 2001”)11.
b. A 2010 article12 from which the prevalence rate for the incidence of individuals diagnosed with a “Pervasive Devel-opmental Disorder” [“PDD”] (known as an ASD in the USA) was found to be 1 in 1272, when the 2013 estimate in the USA for similar children estimated an ASD diagnosis rate of one child in every 50, 6-to-17-year-old children13. b. The current vaccination programs collectively are major causal factors for the current childhood epidemics, at levels in excess of 10% of the vaccinated children in several instances, of many other chronic childhood medical condi-tions, including but not limited to, ADHD, asthma/chronic obstructive pulmonary disease, epileptic disorders, obesity, type 1 and type 2 diabetes, eczema, food allergies, serious gastrointestinal disorders, solid cancers and lymphomas, and other immune-autoimmune-linked childhood diseases, disorders and syndromes, which were non-existent or vir-tually non-existent in the 1930s through the 1970s. Based on the facts presented by this reviewer, the writer appears to be one of those people who “didn’t listen to the data”. c. The effectiveness and cost-effective, or lack thereof, for each of the current CDC universal-inoculation-schedule’s recommendations for these vaccines. Thus, the writer essentially seems to attack all studies that do not support the vaccination status quo by labeling them as “unscientific, pet studies” even when they were published in peer-reviewed journals and their authors are willing, subject to the constraints imposed by the federal government on data sharing and medical privacy, to share the raw data and ancillary information with those who seek to confirm that the data does support the findings reported by those authors. In contrast, the datasets and ancillary information for the vaccine studies that “support” vaccination have either been reported as lost (e.g., the datasets for the CDC’s 2003 Verstraeten, et al. study14 and Fombonne’s 2006 study of children in certain Montreal schools15) or access to the data and ancillary information has simply been denied to those seeking to verify that the data does support the reported findings, or not. Moreover, the writer’s asserting, “scientists have come to consensus that vaccines are, in no way, related to autism” does not make that statement true. Finally, her attempt to cast the evidence-based concerns of those who question the safety and/or effectiveness of vaccines and/or the cost-effectiveness of vaccination programs as “beliefs” does not reduce the scientific validity of the evidence-based concerns raised. Again, this time mid-paragraph, the writer changes subjects and begins to speak of “climate change” and of GMO issues. Whenever this reviewer observes a writer attempting to speak for those who are opposed to the position that the writer is trying to sell to the reader, the narrative almost invariably degenerates into an attempt to portray that opposition in a demeaning manner as in the writer’s closing statements here. Ironically, this reviewer does agree with the writer when she states, “It doesn’t matter how many studies show the same thing, or how many consensuses are reached by scientists”. In fact, it is not the number of studies, or the number of consensuses, or even the number of scientists that matter. What matters are the confirmed, scientific soundness of each study and the scientific validity of the consensus. After all, at one time, the scientific consensus was that the Sun was the center of the universe; the world was flat; when burned, wood lost a substance called “phlogiston”16; and the universe was governed by Newtonian physics. he is open to any independent, scientifically sound, peer-reviewed published documents that refute his understanding of the facts. Thus, to the extent that this reviewer and his colleagues around the world are scientists, the writer’s allegations, “They simply don’t want to question their biases. They don’t want to be informed”, are pure nonsense. Here, the writer begins by stating prejudicial claims concerning the basis and intent of studies conducted by groups or individuals who implicitly have problems with the GMOs in food that not only rats and pigs but also humans consume. Then, she asks us to “look at the recent anti-GM rat and pig studies”, which she claims “have been thoroughly flayed by scientists that” [sic; who] “have nothing to gain from the GM industry”. 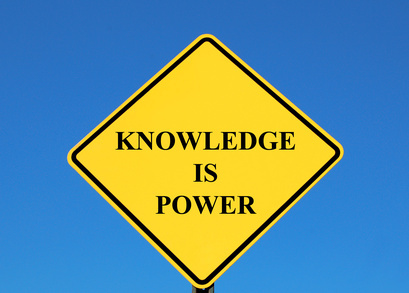 However, the links the writer provides are not to peer-reviewed journal publications establishing the validity of the claimed problems, nor to the articles in question so that we may study them, nor to the studies’ authors’ published rebuttals (if there are any) to the published criticisms of the cited studies. Instead, the links provided are to a posting in an anonymous blog (http://skeptico.blogs.com/skeptico/2013/06/the-s%C3%A9ralini-rule-gmo-bogus-study.html?utm_source=feedly), and a personal web site posting (http://www.marklynas.org/2013/06/gmo-pigs-study-more-junk-science/), which respectively attacked a long-term rat feeding study and a pig feeding study. Unfortunately, the first link is an apparently invalid link as at-tempts to access it returned a “HTTP/1.0 404” error. If you cite this study as demonstrating any dangers in genetically modified food, you are either (a) so clueless as not to have spent 30 seconds checking to see if there are any reported problems in the study, or (b) so dishonest in citing a blatantly fraudulent study, that you are not worthy of any more serious consideration. You just lost the debate and you’re done. (Obviously you don’t lose the if you cite the study to demonstrate its flaws, only if you claim the study’s conclusions are valid.) …”. Clearly, this intentionally anonymous blogger has an agenda that is highly biased and subjective even though this anonymous blogger claims to be objective. While this reviewer agrees that a more-robust study design might have been preferable, this reviewer notes that the designs used seem to be a copy of the “accepted” study designs used by Monsanto scientists in similar studies except that, unlike the short-term Monsanto studies, these studies continued feeding the rats for an extended period of time. Turning to the provided valid “pig study” link, this reviewer was directly connected to http://www.marklynas.org/2013/06/gmo-pigs-study-more-junk-science/, which presents Mark Lynas’ views on this pig study and also provides a direct link to the peer-reviewed, published study at “http://www.organic-systems.org/journal/81/8106.pdf” (Carman JA, Vliegers HR, Ver Steeg LJ, Sneller VE, Robinson GW, Cinch-Jones CA, Haynes JI, Edwards JW. A long-term toxicology study on pigs fed a combined genetically modified (GM) soy and GM maize diet. J Organic Sys. 2013; 8(1), 38-54). Unfortunately, the information Mark Lynas provides about himself does not list any formal degrees, training or experience in the life or agricultural sciences; indicates that his major interests seem to be climatological and environmental in nature; and states that he is a “Visiting Research Associate at Oxford University’s School of Geography and the Environment”. Further, although the writer’s claim that these studies “have been thoroughly flayed by scientists that” [sic; who] “have nothing to gain from the GM industry”, the articles to which she links and their comments fail to provide any hard evidence that these comment posters “have nothing to gain from the GM industry”. In addition, the writer’s claim, “The groups that performed and published these “trials” weren’t asking whether GM foods are unsafe; they sought and executed sham research hell-bent on proving their beliefs, then denied any conflict of interest”, lacks the substantive proof needed to justify the allegations that she has made. Moreover, since the studies seem to be effects studies, designed to identify and evaluate the effects of feeding high-GMO diets as compared to feeding low/no-GMO diets on the overall health of the animals fed an exclusive diet containing one type of feed or another, the studies were not, per se, designed to determine the safety of the different diets. Thus, the writer’s negative comments about these two (2) studies are, at best, inappropriate and, at worst, defamatory. Here, the writer is quick to notice “Chris’ clear bias towards one side of the argument”, while ignoring her own obvious bias. However, it is inappropriate to use one person’s biases as if they are representative of all persons who oppose GMO crops because: a) the GMO crops have not been proven to be either safe in the long term or nutritionally equivalent to the non-GMO crops previously grown; b) the use of the GMO seed raises the levels of the pesticides used to treat the crops as the weeds and insect pests develop resistance to the pesticides; c) as, contrary to the claim of rapid breakdown in the environment, the levels of glyphosate and other pesticides continue to increase in our drinking water supply and food; and/or d) of some other GMO-related (e.g., bt-corn) or pesticide-related (e.g., intentional promotion of an off-label use) problem. Here, the writer makes an unsubstantiated claim, “GM crops have undergone rigorous safety testing”, which is, at best, deliberately vague, and, at worst, patently false. Factually, GM crops have mostly only undergone short-term toxi-city, metabolism, and residue studies conducted by, or on behalf of, those firms who are marketing these GM crops. Moreover, in some instances, the GM-crop candidate has been abandoned when it caused serious adverse effects even in the short-term studies typically conducted. However, when it comes to long-term toxicity, metabolism, resi-due and environmental-impact studies, few, if any independent studies have been conducted. Furthermore, the few independent, longer-term, feeding and environmental-impact studies that have been conducted have found evidence of serious adverse effects in rats and “unintended” transfer of pesticide resistance and other genetically inserted traits to other plants, principally “weeds” – making these weeds much harder to kill. Given the preceding realities, this writer’s views are based on other than sound science and are apparently grounded in the pro-GMO propaganda that permeates the mainstream media and academia today. Continuing her biased attack on those individuals, groups and peer-reviewed studies that raise concerns about the safety of the entire GMO/pesticide paradigm, the writer again makes absolutist claims that, besides being at odds with some of the scientifically sound independent studies, are obviously biased to the extreme. Further, those who question the Establishment’s GMO and/or pesticide paradigm are not denying any scientific consensus other than that “consensus” bought and paid for by the biotech and pesticide in-dustries and their direct and indirect supporters. Until there are appropriate, independent, scientifically sound, long-term (greater than half of the life span of the animals studied) studies on the direct and indirect effects on the consumers of the products and their residues at every level – from the microbes, to the plants and the animals, including man – which clearly prove that the GMO/pesticide -containing and -derived products are sufficiently non-toxic17to those non-targeted individuals who are most susceptible to the adverse effects of such products, no one can logically or scientifi-cally assert that such are “safe”. Accepting that there “are more than 600 studies (>125 of which were independently funded)”, this reviewer notes that the cited blog is admitting that about 80% of these studies are industry-overseen and/or industry-conducted studies – not even “independently funded studies”. Further, independent funding does not ensure that the study is an independent study. Given the careful choice of words by the anonymous writer of the cited blog, it would appear that very few of the studies are truly independent studies. Finally, this reviewer has observed that any study that indicates there may be a problem with the Establishment’s GMO/pesticide paradigm and its authors are attacked by those who are a part of, or favor, the biotech and/or pesticide industries. Thus, by not stating the number of truly independent studies that address “the safety record of GM crops” and providing a supporting peer- reviewed citation that supports that number, the writer seems to be hiding the scarcity or absence of truly independent safety studies. Here, this reviewer simply reminds the reader that the tobacco industry used similar talking points in its decades-long knowing cover up and suppression of the risks associated with the smoking and/or chewing of its tobacco products, including the use of medical doctors in cigarette advertisements. Further, making a statement, which is linked to an article that reports “the most important opposition currently facing the worldwide adoption of this technology: public opinion” clearly detracts from the assertion that “scientific consensus”, not propaganda, is being used to prove “GM foods are safe”. In fact, the writer’s assertion is an implicit admission that the truly independent scientifically sound safety studies on GM foods have not established that they are safe. Finally, this reviewer notes that one of the prime tactics that propagandists use is the repetition of less-than-truthful statements because such rhetoric eventually leads to increased public acceptance of such statements by those who, for whatever reasons, do not truly study the issues. Contrary to the writer’s views, the independent science is clear that the long-term “safety of genetic modification” has not been established just as the “safety” of vaccines has not even been proven to the legal standards for such proofs as required of the manufacturers thereof by the applicable statutes and regulations18. Moreover, this reviewer does not know of any “climate deniers” – all seem to admit that climate exists. However, based on the current understanding of the independent sound science, those who have resisted the alarmist claims of “global warming” may have been right. For a variety of reasons, the local climate is both changing and being actively modified but there is no independent, scientifically sound body of evidence that supports “global warming”. Thus, based on the independent sound science, as he understands it, this reviewer finds that this writer’s assertions here may be, as she put it, “dead wrong”. regarding tdap and pregnancy..is an autism coverup to blame? this post is in regards to my previous post on tdap vaccination during pregnancy.. I see no other reason why they are pushing all of these vaccines on pregnant women other than the reason that they are frantically trying to prove to us that autism is a genetic condition that children have had from birth..its criminal!! ARENT THOSE PEOPLE OVER AT THE CDC CLEVER!!?? please dont allow yourself to be fooled. Please hear the other side of this story and think for yourself. the CDC boldly proclaims that autism rates didn’t drop after thimerosal was phased out in 2001..
– even though they added 4 doses of the aluminum containing PCV and the aluminum containing Hep A vaccine to the schedule in 2001..
– ohh yeah, 2001 was also the year that the CDC started recommending that flu shots be given either during the 2nd or 3rd trimester to pregnant women and their unborn children. – and THEN if all that wasn’t enough.. we added the thimerosal containing YEARLY flu shot for children – starting at 6 months – to the schedule in 2002. – and now they want pregnant women to be injected with even more toxic substances like aluminum and formaldehyde via the tdap vaccine given during the 3rd trimester of pregnancy?!!! “nope vaccines do not cause autism,” says the CDC. I know this may be a jagged pill for some to swallow..but seriously think about it as you would think about anything else when trying to come to a conclusion. 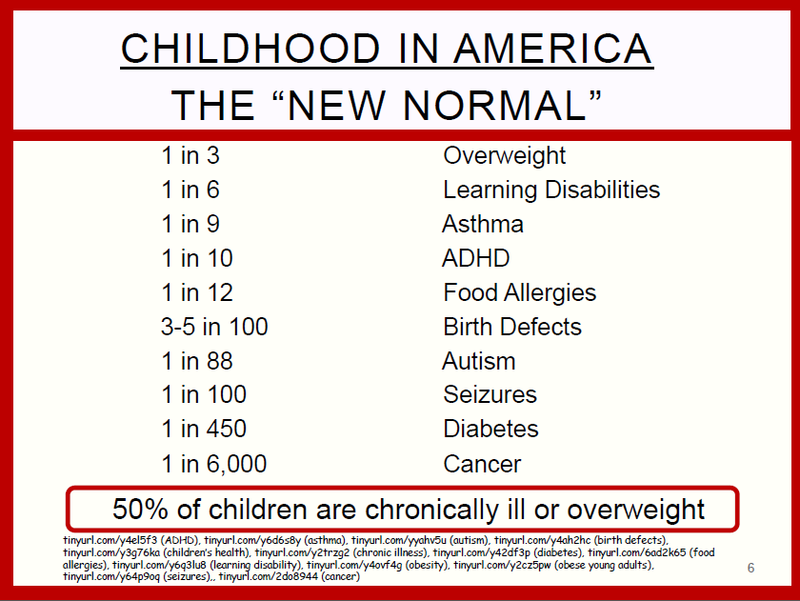 Think about this.. What would the ramifications have been if – all the sudden – autism rates would have started to plummet after the thimerosal was removed from most vaccines? This would have caused fingers to point directly at the CDC and their precious vaccine program..can you image the uproar that would have taken place? The publics confidence in the vaccine schedule and the publics willingness to adhere to it would be badly damaged if a scenario such as this ever played out. Soooo much money would be lost!! I know that some people may be thinking, “this girl is some conspiracy loving crazy..!” but I am not trying to provoke some panic laden thoughts from you right now..i am simply just stating what I see. Look at almost every scandal or cover up that has taken place in this world..what is at the root of them? what is the common theme that connects almost all atrocities together? the answer is money. throughout history it has been proven time and time again that money has a higher value than people. Many of us have seen the accusations that vaccines are used as population control. Some of you may be hearing about this idea for the first time as you read this. What do you think when you read that this is the sinister reality behind vaccinations? I know the first time that I read this claim..im going to be honest here..i thought that whoever it was out there in cyberspace who wrote it.. was probably a crazy person. Of course, it was before I was awakened to the cold truth that I thought this..but still, the fact that I (being a person that has always questioned things) thought this means that most people probably think these accusations to be far more foolish than I did. How has the state of our society come to think the way that it does about notions that go against the grain? How have we become so programed to automatically brush certain things off as just “crazy” before ever giving any thought to what it is that is being said? It makes perfectly good sense that vaccines could be used as a method to reduce the population. Even after watching the clip of bill gates speaking about this, many people im sure, still just place this idea in the “crazy” category and probably never return to think about it. However, what I write about below.. leaves little room for interpretation – it has been well documented that vaccines HAVE been used to, without consent, end pregnancies, impair fertility and as a population control method. I have heard about what happened to many of the poor women and to their unborn children in Nicaragua, Mexico and the Philippines in the 1990s (and is still probably happening even today..how can we say that it is not happening today? What has changed? What explanation or apology has been issued?) getting back on point here..but until today, I had never really looked into it. what this post discusses has ethical ramifications that mirror even some of the most despicable crimes against humanity that have occurred on this planet. It is a travesty!..and guess what? Few people in this world have ever heard even a whisper about it. The WHO began its “Special Programme” in human reproduction in 1972, and by 1993 had spent more than $356 million on “reproductive health” research. (7) It is this “Programme” which has pioneered the development of the abortificant vaccine. Over $90 million of this Programme’s funds were contributed by Sweden; Great Britain donated more than $52 million, while Norway, Denmark and Germany kicked in for $41 million , $27 million, and $12 million, respectively. The U.S., thanks to the cut-off of such funding during the Reagan-Bush administrations, has contributed “only” $5.7 million, including a new payment in 1993 by the Clinton administration of $2.5 million. Other major contibutors to the WHO Programme include UNFPA, $61 million; the World Bank, $15.5 million; the Rockefeller Foundation, $2.5 million; the Ford Foundation, over $1 million; and the IDRC (International Research and Development Centre of Canada), $716.5 thousand. When the first reports surfaced in the Philippines of tetanus toxoid vaccine being laced with hCG hormones, the WHO and the Philippine Department of Health (DOH) immediately denied that the vaccine contained hCG. Confronted with the results of laboratory tests which detected its presence in three of the four vials of tetanus toxoid examined, the WHO and DOH scoffed at the evidence coming from “right-to-life and Catholic” sources. Four new vials of the tetanus vaccine were submitted by DOH to St. Luke’s (Lutheran) Medical Center in Manila — and all four vials tested positive for hCG! From outright denial the stories now shifted to the allegedly “insignificant” quantity of the hCG present; the volume of hCG present is insufficient to produce anti-hCG antibodies. But new tests designed to detect the presence of hCG antibodies in the blood sera of women vaccinated with the tetauns toxoid vaccine were undertaken by Philippine pro-life and Catholic groups. Of thirty women tested subsequent to receiving tetanus toxoid vaccine, twenty-six tested positive for high levels of anti-hCG! If there were no hCG in the vaccine, or if it were present in only “insignificant” quantities, why were the vaccinated women found to be harboring anti-hCG antibodies? The WHO and the DOH had no answers. New arguments surfaced: hCG’s apparent presence in the vaccine was due to “false positives” resulting from the particular substances mixed in the vaccine or in the chemicals testing for hCG. And even if hCG was really there, its presence derived from the manufacturing process. Why A Tetanus Toxoid “Carrier”? After the vaccine controversy had reached a fever pitch, a new bombshell exploded; none of the three different brands of tetanus vaccine being used had ever been licensed for sale and distribution or registered with the Philippine Bureau of Food and Drugs (BFAD), as required by law. The head of the BFAD lamely explained that the companies distributing these brands “did not apply for registration.”(9) The companies in question are Connaught Laboratories Ltd. and Intervex, both from Canada, and CSL Laboratories from Australia. 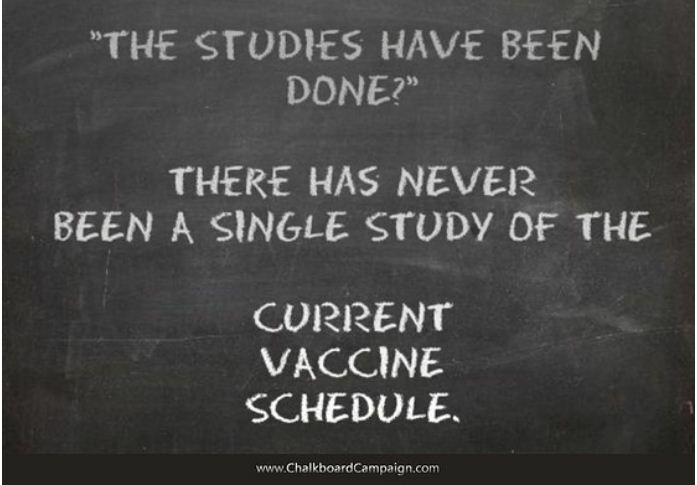 “Institute of Medicine Concludes Vaccinated versus Unvaccinated Research Not Needed: The Vaccine Schedule is Safe As Is. **They could end this whole debate so easily. But they won’t do it. The IOM and the CDC says that to leave kids unvaccinated is “unethical”..and this is the crutch that they lean on, even though millions of parents are so unsure about giving their kids vaccines. 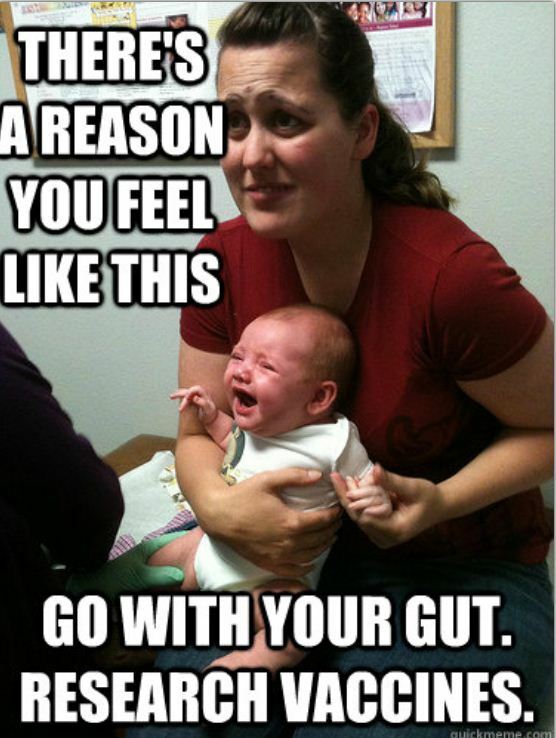 Im sure that I am not the only parent that has cried on the way to their babies checkup out of nothing but fear. They may say that since my son has not had a shot since he was 8 weeks old that he is unethical..he is actually quite healthy (praise the Lord) how dare these fools (yes, fools) call my child unethical when they inject 4 million children every year with a vaccine schedule that has grown from 10 to nearly 40 shots, contains known neurotoxins, carcinogens, and poisons that decrease fertility..and this “healthy” schedule HAS NEVER BEEN SUBJECTED TO A PLACEBO CONTROLED SAFETY STUDY! and they wanna call us unethical?! Just like in the bible..we are living in a time when right is wrong and wrong is right! What they are doing to the families and to the future of the world IS WRONG. There has never been a study conducted that shows the effects that the current vaccine schedule has on a developing body and mind, so the risks of vaccinating my children are unknown. the risks of the sicknesses that vaccines claim to prevent are well known..so i am more comfortable taking the risks that i know. no matter how i look at it, i cannot justify my child being used as a guinea pig. Parents should be outraged! The tone in this country over vaccinations has changed..you cant hide from the glaring truth.. people are down right scared of these things.. our children are suffering..and they simply turn a blind eye to our plight and give us no new research..just a simple, “trust me..vaccines are safe.” Are you kidding me! if vaccines were safe and if the information we were given about them was true..I wouldnt be here writing this..you wouldnt be reading this! Give us truth..that’s all we are asking for. Give us what we need to be confident in the vaccine schedule! Get two groups of children..one group that is fully vaccinated according to the cdc schedule and the other group not vaccinated at all..and compare the two groups. Have the study conducted by people who will not profit in any way regardless of the results..and publish them. We deserve it! Our children deserve it! ”A few years ago we all got excited when the Centers for Disease Control announced they were looking into doing more extensive vaccine safety research. Essentially, they were going to research whether or not they should and could do such research. The CDC assigned this task to the Institute of Medicine, a panel of medical experts from various medical and research backgrounds, and this report is the product of this investigation. 1. The IOM did not do any NEW research in this report. They did nothing new to examine and conclude that the current vaccine schedule is safe, or that it is safer than an alternative one. What they simply did was examine current available research and determine that there is no evidence that the current schedule is unsafe. There is no NEW information or research findings here. 2. The IOM admits on page 3 of their summary press release that a study comparing vaccinated to unvaccinated children is “the strongest study design type”. Basically, such a study would give us the most useful information. 3. The IOM and the CDC continue to hide behind the claim that to do a comparative study of unvaccinated versus vaccinated children would be unethical. But as long as they neglect to do this research, many parents will continue to decline vaccines over the concern about lack of safety research. 4. The IOM states that one challenge of an unvaccinated study is that there is an inadequate number of study subjects, as less than 1% of children are completely unvaccinated. I don’t agree with this statistic. It’s more like 5%, and could even be 10%. One brand new international study ( http://www.ncbi.nlm.nih.gov/pubmed/22943300) revealed that 10% of households surveyed had children who were completely unvaccinated. 10%!!! And it was the more educated and wealthier families that were more likely to be unvaccinated. The IOM’s claim that there aren’t enough unvaccinated children to study simply isn’t true. With over 4 million babies being born in the U.S. every year, they would have their pick of about 400,000 unvaccinated children to study each year. Posted in Uncategorized, vaccination, what's wrong with this world! this is also time consuming..but why not read the full report about the vaccine from the vaccine manufacturer before letting your child receive it? – next I move on to Adverse Reactions. a few things I notice. a. the safety trials were conducted by the company who makes the vaccine and the NIH. Both groups gain financially from vaccines. Why are they conducting the safety studies? Especially given the fact that pharmaceutical companies cannot be held liable for injuries caused by vaccines. 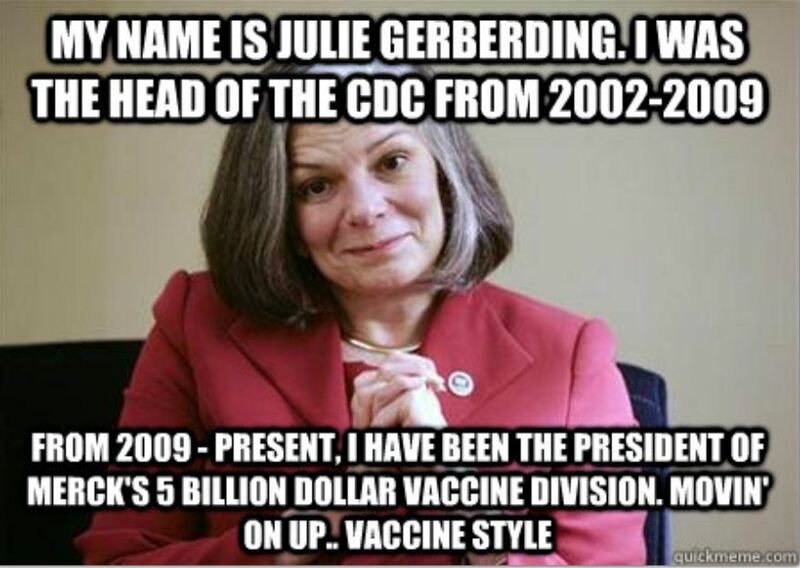 Vaccine safety doesnt mess with the money flowing into their pockets..so how careful and transparent will they be? b. only 1000 children were monitored for adverse events through a fourth dose. Only 580 children were monitored through a fifth dose. c. in another safety study 673 infants were used. 505 of them received the Tridepia DTaP vaccine. 167 infants received the DTP whole cell pertussis vaccine. Why are they using another vaccine ( a vaccine that was discontinued in the US because it is so unsafe) as the placebo? A placebo is supposed to be saline water or another harmless substance..what are they scared of? I also find it funny how the tests done to show efficacy of the vaccine (how well it works) included infants who received no vaccine..but the safety studies did not. 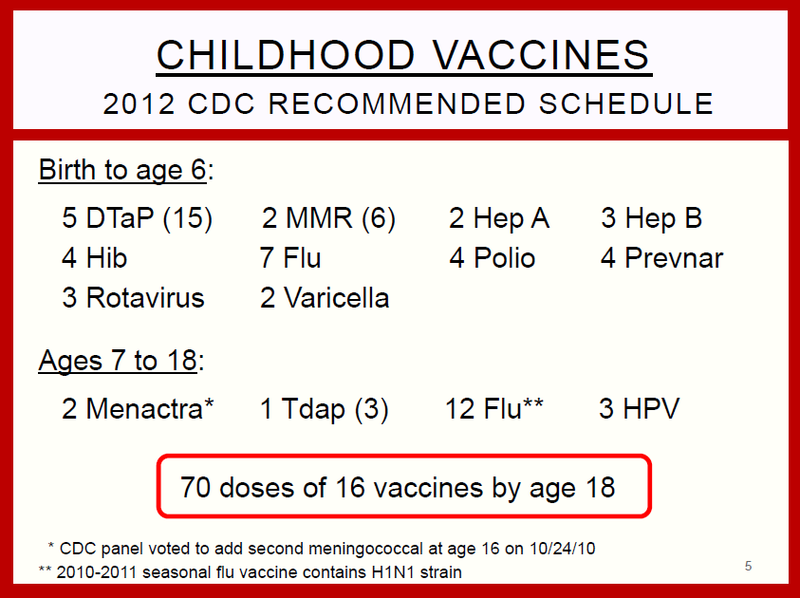 You will find this same pattern for almost every vaccine recommended. Posted in vaccination, what's wrong with this world! – you can do this however you would like but as an example today, I am going to research ingredients by vaccine. I will do the first few ingredients of the Polio vaccine. The ingredients in the IPV are: formaldehyde. 2- phenoxyethanol , neomycin, streptomycin, polymyxin B, monkey kidney cells, Eagle MEM modified medium, calf serum protein. now that I found that new database during my educational safari last night.. I have cut down on some steps..so life is easy for me. I would still look up the msds for everything too. This database has everything all in one place.. you can find out just about everything in the table of contents on the left hand side. – go here and i search for neomycin. on left hand side there will be a table of contents..you can find everything almost. there are medical and scientific studies, reports of toxicology and so on. if this database doesnt have one of the chemicals you can go through scorecard.com again and make sure that you stay on the HSDB database and not to click on one of the other databases. This might sound confusing but you’ll see what im talking about..just use the link above. so you get the gist of things..to really understand vaccines you need to do this for every single ingredient that could potentially be in a vaccine given to one of your kids. Now that ive found that database..it’s on man..im going to go back through them all again. Today I started working on a list of good research links for my friend who is trying to think through vaccinations for her children. I thought that it would be easy just to put together a list with stuff like the cdc table of vaccine ingredients and links to the vaccine package insert. I decided I would hit up pubmed for a few basic papers..this was a bad idea. I ended up lost in pubmed for hours. I should have done this a long time ago. I am learning more by trying to help someone else than ive learned for myself in a long time. One of the things that I ran into this evening was 2-phenoxyethanol. 2-phenoxyethanol is is used as a perservative in vaccines. DTaP: * and just a side note.. the only DTaP vaccine that does not contain phenoxyethanol contains thimerosal. Tdap: adacel- .6% (6) * side note..this vaccine is recommended for woman to have during every pregnancy. This shot also contains aluminum, formaldehyde, and glutaraldehyde..there are scientific studies linking every substance that I just listed to fetal and reproductive toxicity. All of these toxic substances are also in the DTaP. If you look at the link at the bottom of the cdc table of vaccine ingredients you will realize that I have only scratched the surface. ethylene glycol monophenyl ether is one of the glycol ethers and is another name for 2-phenoxyethanol. (9) Everytime you see the word “ethylene glycol monophenyl ether” or “EGMP” it is talking about, 2-phenoxyethanol, the preservative that is injected into millions of infants and children every year. 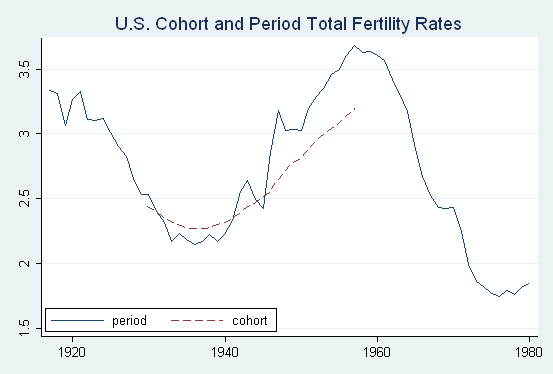 ASSESSMENT OF ETHYLENE GLYCOL MONOBUTYL [another of the glycol ethers] AND MONOPHENYL ETHER REPRODUCTIVE TOXICITY..
there was a slow decline in fertility that caused a drop in the weight and health of the next generation. severe neonatal (infants) toxicity was observed. the abstract never gave the information needed to know how many in the EGPE group died..but it seems more died in the EGPE group than in the EGBE group. Since it never gave the orginal number of pups/liter there is no way to know. the other ether in the study caused deaths and toxic events to happen to the adult female mice. The glysol ether that is in several pediatric vaccines, 2-phenoxyethanol, was particularly toxic and caused death in the baby and children mice of both sexes. The idea of vaccination for population control is ridiculous. You all all privileged enough to live in a country that has been vaccinating for CENTURIES…. This has enabled us to live relatively disease free. What about the people in third world countries who stand in line for hours to get life SAVING vaccinations. Many of these people would die without them. Its your right to choose to vaccinate or not. Don’t spread insane propaganda about some sort of world sterility plan. 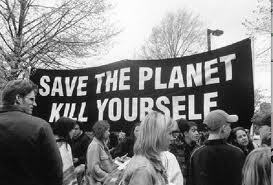 I do understand why you would comment what you did..but did I once mention population control in my post? No I did not, I only said something about it in the comments, and even then I only referenced it as an idea. Look around this page..you will not see postings about population control and aliens. I don’t use tin foil. Aluminum is bad for you. That’s one reason I don’t agree with the vaccination schedule. Did you read the post? Or did you just read the comments and decide to remind everyone that vaccines save lifes? I’m not saying that is not true. Many people in the “anti vaccine” community would highly disagree with me on that..but I am not going to say that vaccines have not saved lifes bc there is data that shows this to be true in some instances. However, there are MANY other natural ways to prevent disease that do not harm the brain and the body and that do not negatively interfere with fertility…these have all been documented as well. Look at the decline in disease rates after sanitation improved..look at the Karachi soap study. Please read the links I’ve included in the post above and then remember that starting at two months, before a child graduates high school they are recommended to receive 17 doses of vaccine which contain 2-phenoxyethanol..and then tell me if it does not make logical sense to question whether or not this could be a factor in the increasing number of fertility clinics that are poping up. everywhere in the US and around the globe. **do people really not want to know the truth? Why would someone NOT vaccinate their child?! Vaccines are good…right? I know that the idea of not vaccinating your children, to some, is a shocking idea. Some may think that it is an irresponsible thing to do and some may even think that parents who makes this choice are neglecting their children. I can understand why some may feel this way because I once felt the same way. I didnt think that parents who didnt vaccinate were bad parents..I just thought that they were crazy. 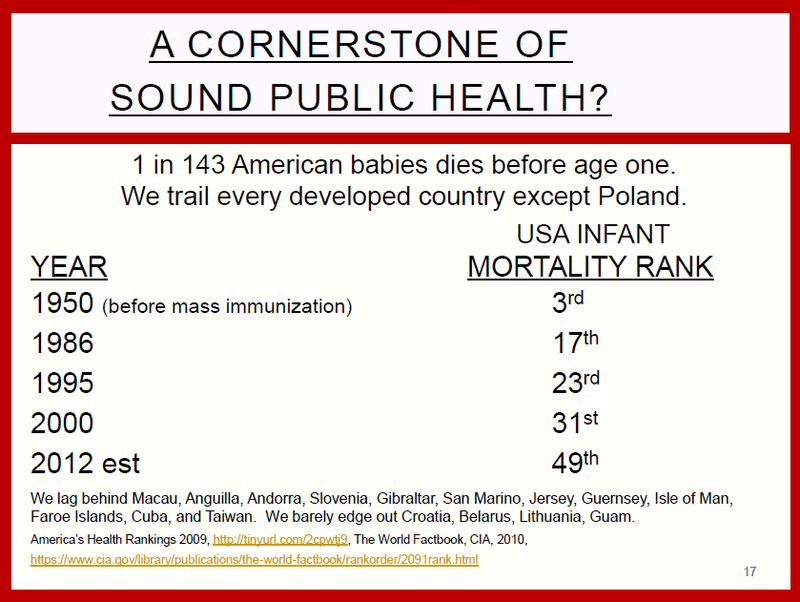 I couldnt understand why someone would not give their children shots that would protect them against deadly diseases. How I once thought is completely reasonable given how we are conditioned from childhood to put our faith in vaccines. One of my favorite books as a child was a Berenstain Bears book about brother and sister bear getting shots at the doctors office. Just the other day, my children and I were watching PBS when a popular childrens program dedicated an entire show to discuss how important getting your flu shot is. As adults we are further conditioned by the media and the medical establishment. We are made to believe that vaccines saved us and that vaccines are our only option for living healthy lives. This is how I felt when my son was born. Before my son’s 2 month check up, I remember sitting in the parking lot outside of his pediatrician’s office crying. Something inside of me almost made me leave. But I didnt. I wiped the mascara from underneath my eyes.. “I have to hold my baby down while he gets these shots because I love him..I am doing this to protect him.” This is what I told myself; this is what a lot of parents probably tell themselves. The last time I ever told myself this was at my son’s two month check up. 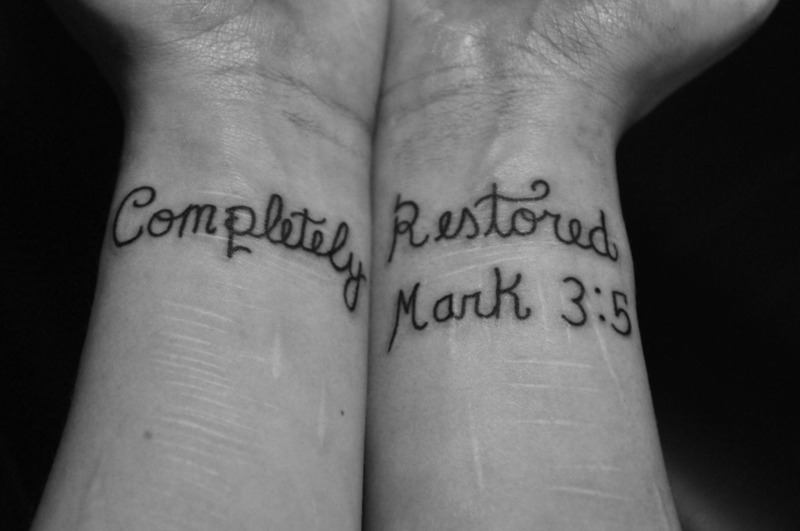 He reacted badly to the 6 shots they gave him and something went off in my mind..”something isnt right here.” That day as I held my screaming son, I got down on my knees before God and I asked him to show me the truth. That simple prayer has sent me down the longest road that I have ever been on..and I am still on it..I learn new things everyday. One aspect of this whole vaccine debate that drives me to the point of tears is the lack of common sense. I would have came to the same conclusion years ago about vaccines if I would have only thought to look at the right things. 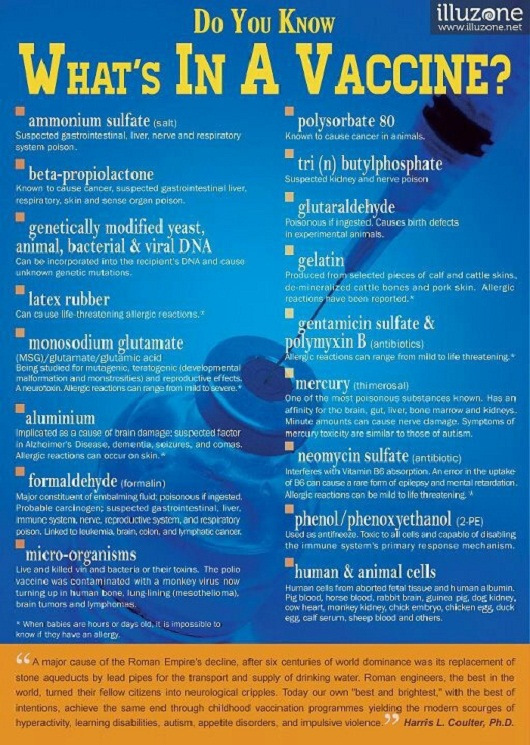 All that a person really needs to look at when researching vaccines is the list of vaccine ingredients (for instructions on how to search through chemical databases and research these ingredients see this post). If common sense was king then vaccines as they are today would have never happened. Infants and children receive somewhere around 34 shots by the time they 6 years of age. In 1983, before a child turned 6.. they were recommended to receive 10. Many of shots are mulit dose vaccines ( like the DTaP is actually 3 vaccines in one and the MMR is 3 vaccines in one) How can we inject the things that are in vaccines into a developing mind and body 34 times, and in many cases, 8 or 9 shots at once.. and expect the results not to be negative? The most frustrating thing to me is that parents who have made the choice to refuse, delay, or be selective about vaccines are constantly made to look like “the bad guy,” when in reality the we have very sound reasons for our choices. There is a battle going on for our minds. If you think that I am just another conspiracy theorist please read the following links in detail…after you have done so, I can almost promise that your feelings will have changed. I am going to share a few link for anyone who may be searching to learn more about this topic. Also, if you are reading this and you vaccinate your children.. I want you to know that as long as you are comfortable with the informed decision on vaccination that you have made, I respect that. Hopefully after reading this, you will also respect my decision. In 2000 a secret meeting was held at the Simpsonwood Conference Center in Simpsonwood, Georgia. CDC and other government officials, Pharm reps, and several prominate doctors met to discuss the connection between thimerosal and brain damage.. Thimerosal is a compound that was in many childhood vaccines up until the latter half of 2002 – but is now only in most flu shots — the compound is 49% mercury. A study conducted by Dr. Thomas Verstraeten of the CDC had indeed found a link between thimerosal and brain injury and this meeting was called to figure out what to do about it. The simpsonwood transcript was obtained through the Freedom of Information Act (FOIA) and what can be read is shocking. Shockingly, the CDC received letters in July and September 1999 from Merck and SmithKline Beecham, respectively, letting CDC know that full production of Thimerosal-free vaccines for Hepatitis B and DTaP could be made available almost immediately. To SmithKline, CDC responded with a tepid letter thanking them for the offer, but not taking them up on it. Thimerosal would remain in the vaccines on the Childhood Immunization Schedule for three more years, it would be late 2002 before Thimerosal-free vaccines were finally available for all vaccines. They were well aware that this toxic substance was hurting our children, but they chose to wait. How many children were damaged during those 3 years simply because money means more to our government? What is it that you hear constantly in the media about vaccines? The answer to that question is that vaccines are safe and this newly released study proves it. As mentioned above, the study written by the CDC’s Dr. Verstraeten that was the main reason for the simpsonwood conference was released in 2003, three years after the simpsonwood incident. Of course the data had been “handled” by then and the results showed no connection between thimerosal and brain injury (even though there are many peer reviewed studies that do show a connection – see the bottom of this entry for a few links to thimerosal studies). How is it that this significant linear relationship between the two simply disappered? The study was written by the Centers for Disease Control, the federal agency in charge of the vaccine program. The lead author, Thomas Verstraeten, left to take a job with Glaxo SmithKline — a vaccine manufacturer — after the study was written and before it was published. The U.S. Congress later cited this as an ethical violation. Vaccine manufacturers have a COl related to the tension between making profits and studying the negative side effects of their products. Vaccines are a big and growing business: Worldwide sales of pediatric vaccines in 2009 were about $11.5 billion, and sales are expected to reach close to $20 billion by 2014 (Sahoo, 2010). Once manufacturers have met the expensive regulatory hurdles of vaccine approval, they have little incentive to research the safety of their products. Although postlicensure analyses are typically undertaken to ensure the safety of the products, such analyses in the United States, for example, are performed by the same regulatory agencies that initially approved the vaccines (Salmon et al., 2004). Moreover, vaccine manufacturers do not face the threat of lawsuits that might motivate other industries to seek to improve safety. The National Childhood Vaccine Injury Act of 1986 protects vaccine companies in the United States from being sued. The protection was deemed necessary, because vaccine manufacturers were facing increasing tort litigation and an adequate supply of vaccines at stable costs was considered essential for public health (Supreme Court, 2011). One implication of the legislation was to provide incentives for the development of new vaccines, which typically earned smaller profit margins per dose than other drugs. 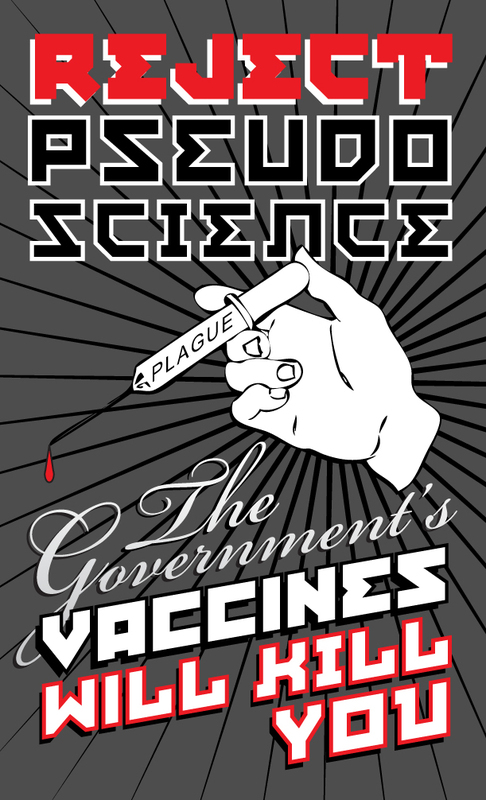 Citizens in the United Kingdom may sue vaccine manufacturers, but no plaintiff has ever been successful (Hanson, 2007). This issue goes much deeper. It is hard for me to be brief when discussing it. I will share just one more example. “Rotashield was developed to combat rotavirus, which symptoms are vomiting, diarrhea, low grade fever. However, it was pulled from the market following reports of serious illness in over 100 babies. The Rotashield vaccine intended to cure these symptoms, instead, caused 2 deaths, 53 cases of surgery and 47 cases of required medical care, all in babies. The FDA and its advisory committee approved the vaccine in 1999, overlooked the 1989 tests of a similar vaccine in China in which a number of babies suffered identical bowel problems to those caused by rotashield known as intussusception, a bowel obstruction so severe that the intestine swallows itself. Moreover, at least one of the researchers involved in that China test is now working at the CDC, was also involved in Rotashield. Therefore, the data from the earlier China test was available to the advisory committee members who approved the Rotashield vaccine but was overlooked or ignored. 1. that members, including the chair of the FDA and CDC advisory committees who make these decisions own stock in drug companies that make the vaccines. 2. that individuals on both advisory committees own patents for vaccines under consideration, or affected by the decisions of the committees. 3. that three out of the five of the members of the FDA’s advisory committee who voted for the rotavirus vaccine had conflicts of interest that were waived. 4. that 7 individuals of the 15 member FDA advisory committee were not present at the meeting. Two others were excluded from the vote, and the remaining five were joined by five temporary voting members who all voted to license the product. 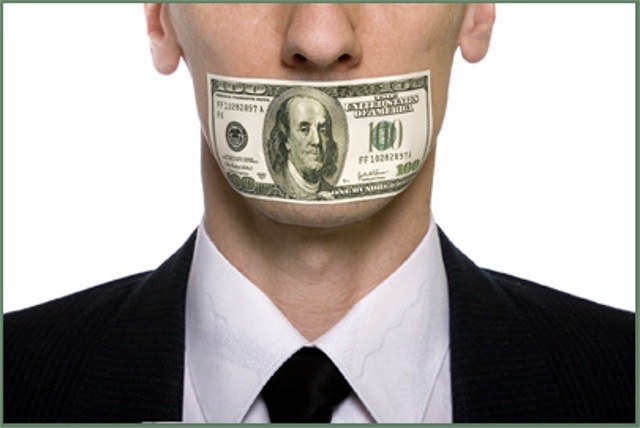 5. that the CDC grants conflict of interest waivers to every member of their advisory committee a year at a time, and allows full participation in the discussions leading up to a vote by every member, whether they have a financial stake in the decision or not. So they’re discussing it, influencing other members possibly, whether they have a financial stake or not. 6. that the CDC’s advisory committee has no public members, no parents have a vote in whether or not a vaccine belongs on the childhood immunization schedule. The FDA’s committee only has one public member. “Now, I don’t know how the bureaucracy in Washington feels, but I think I can speak for an awful lot of parents around the country who want to have confidence that the vaccinations their kids are getting have been tested, and that there’s been an unbiased judgment made as to whether or not they’re going to be safe as well as effective. And the problem with the bureaucracy is, you keep saying, well, we can’t do this because we might not be able to attract people to these advisory committees. Look, there are 700,000 doctors. There must be somebody else out there in that vast mass of humanity that has the expertise to be able to be on these advisory boards. And if a parent knew that there was a financial interest, possible conflict of interest from the person making the decisions on the vaccination, especially if we find out after the fact that kids died or are ruined for life, then I think the parents would say, you know, maybe we ought to make absolutely sure there’s no conflict before we allow these people to be on these advisory panels making these decisions. Now, you know, you may disagree because you serve in a position in the bureaucracy where these decisions are made, and you think that that’s the way it ought to be. I speak from a little bit of experience. I have two grandchildren, two. One got a hepatitis B shot and within 3 hours she was dying. She wasn’t breathing any longer. They had to rush her to the hospital and she survived. Now, there’s a lot of parents who have had that kind of problem with other drugs and other vaccinations. My grandson got nine shots in 1 day. He was a perfectly normal child. And within about 3 or 4 or 5 days, a week, he became autistic. Now, it may be a coincidence. A lot of people say that’s coincidental. But the one thing I want to make sure of as a grandparent or as a parent is that the guys making these decisions or the ladies making these decisions, these doctors, these experts, don’t have some kind of a conflict of interest that skews their judgment in one direction or the other. And the American people, well, you can say, we shouldn’t be making this stuff public. Let me tell you something. Everybody in American who has a child who’s had this kind of a problem wants this stuff made public, because they want to know if the people making these decisions do have a conflict of interest. We go to the doctors and we get these shots for our kids, and we do it believing that the health agencies are above reproach, that there’s no danger to our children, or at least it’s minimal. And we put great confidence in CDC and FDA and all of our health agencies. And if we find out after the fact that our child has had a terrible, serious problem, and then we find out after the fact that people on that advisory committee that made those decisions did have a conflict of interest, it will weigh on us very heavily, because we’ll wonder, always wonder, if that conflict of interest led to the problem that we have in our family. And that’s why the people on these advisory committees need to be above reproach. They need to be above reproach. If they have a conflict of interest, if they’re a paid consultant for a company that has an interest in that product, if they have a large amount of stock in that company, and they’re going to benefit from that product, or if they have some other reason to be tied to that company, they’re getting grants from that company for scientific research, whatever it might be, they should not be on those advisory committees. And if they are, it should be made known at the outset so that people can make a decision based upon information, total information. And I just think it’s wrong. You may shade this one way or the other, based upon what you feel is being with the Department of Ethics in this country. But if that’s the way it is right now, I think the law should be reviewed and changed. There’s got to be people out there that can serve on these advisory panels that don’t have conflicts, who may have their judgment skewed in one direction or another. And there’s got to be people out there that are going to make decisions based upon what’s best for the people of this country and the kids of this country without any bias whatsoever. And that’s what the American people, I believe, want. For a transcript of the hearing click here. This is just the first step in understanding how some one could possibly question vaccines. Once you get past the feelings that the government and medical establishment would never do anything to hurt you and realize that there have been times when we have been lied to..it becomes easier to approach this whole issue with a more balanced perspective.